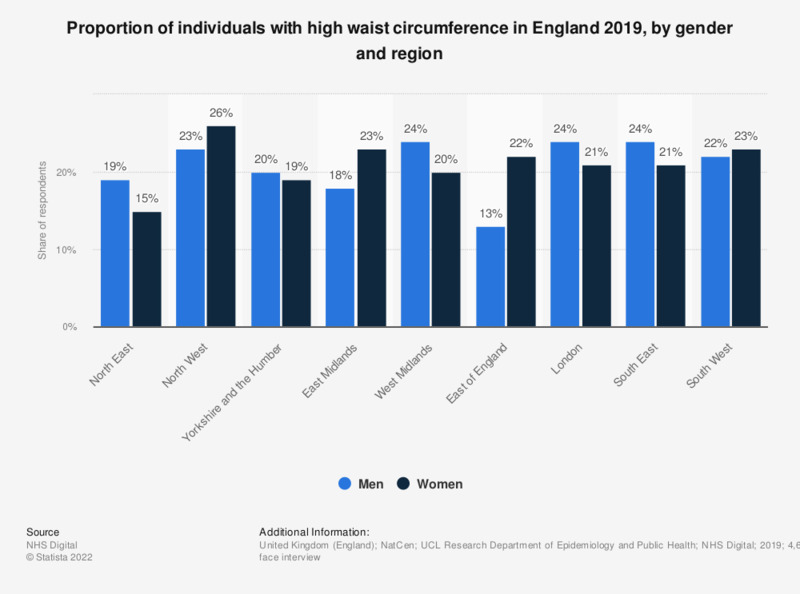 This statistic displays the proportion of individuals with a high waist circumference in England in 2017, by gender and region. In this year, 26 percent of men and 21 percent of women in the South East of England had a high waist circumference. Regions defined as the former Government Office Regions.